For a longish, and rounded, amount of time (like a lie on Jaglika’s lips), I took, with the certainty of an idiot, her stories and those of Marina to be images from my own childhood; and of course I believed unshakably in my ownership of those images. I’m not sure when that all went up in smoke! All efforts up to this point have been inaudible (unsuccessful), like clacking one’s dry, untrimmed fingernails together or timidly scratching the edge of a table with a pin; there was a huge tangle in my head and I felt it whenever I tried to remember something, or with inappropriate ambition tried to recall anything at all with complete accuracy; the bit that I could get my hands on was quickly lost amid the concentric braid of other pictures, and there was no way for me to find the beginning or the end. And then everything snapped, went off like a bomb; no; like a hundred and twenty glasses tossed from the tenth floor; and nothing remained; not even anything like the rubber stub that’s left behind when a balloon pops or, you know, an inflated plastic bag explodes. Everything that I would think up and narrate to myself, in a whisper at first; once or twice – depending on the length of the story; and then I would repeat it out loud, before going to sleep, with my eyes wide open, in the dark; and the story (an image from childhood – which only appeared not to exist) would settle into its spot in my brain. The next day I checked: I would sneak up on Jaglika, and start up a conversation first about her glasses, then her aching joints, homeless women and cuckolded men; and then, in the middle of the conversation, I would say, as if by chance: ‘Hey, baba, do you remember that?’ Or: ‘What was that like, baba? You used to know that…’ Jaglika would ask what I was getting at, and wriggle joyously in her seat – happy that I had faith in her memory, and that’s how she fell into the trap. I told her only the basic framework of a story (the picture), devised the night before, leaving out the dates and more detailed parts; otherwise Jaglika would discover my deception. And so she could continue the stories one after another to the end. For several days running, I carried every fabricated story (in my arms, in my mouth) to the half-deaf and half-blind Jaglika. The fact that Jaglika took part wholeheartedly in it all only showed that it was realistic to assume that all the pictures (stories), from this point on, as far as the eye could see, all of them made or invented by night, happened or were happening, or were just about to happen, at some time or other and to some person or other, or even to me! 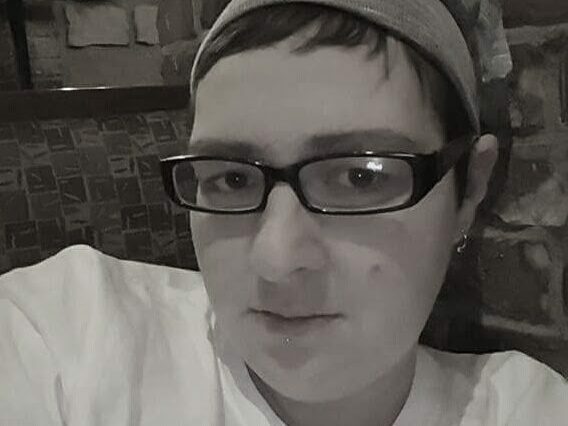 Thus, according to Jaglika, the little pictures on the walls were flypaper strips, and the pieces of paper were prescriptions; since it was dark, the fact that it seemed like midday to me was the result of a large high-wattage lamp, which Dr Vlada would turn on above my head, and so forth. Fantastic! Jaglika thought it all up; indeed Jaglika did think it all up, as did I, incidentally! Never, and I knew this for sure, never did we live in a basement; we never had sticky fly-paper tape on our walls; and especially never any lamp with a big bright bulb; I never had scarlet fever, and so on… After several similar attempts (a tale told to Jaglika; with her just fabricating it differently) I was no longer capable of differentiating what was Jaglika’s from what was mine from what was a third party’s, that Jaglika, as demiurge, truly remembered (the right of the creator is untouchable even when she is lying). It seemed to me that I was again getting tangled in a snare (what a stupid animal!) of other people’s memories, no matter whether real or fabricated, and that the imagined freedom of emptiness has the shape and the sizzle of a lie, a lie from Jaglika’s cracked lips. I gave up on talking to anyone, save to myself, in the evening, in the dark, eyes wide open; along with all the others, I received a new power of imagination: I believed that every story was irrevocably true. But Jaglika did not leave off; she enjoyed talking and watching my face full of trust (a creator also needs flattery); she extracted from her head piece after piece of outright lying (truly one never knows! ), carefully, as if she were brushing lock after lock of her hair, which by the way did not exist; I did not have many opportunities, more precisely, I had just one possibility: ‘Baba, how about if I read the newspaper out loud. Eh, granny? Put those stories of yours away for now!’ Jaglika, however, would shake her head unhappily, bring her morning cup (full of dust – it was already noon) of tea (the orator was taking refreshment) to her lips and go on babbling; she just pushed those little extracts right into my ears, along with her lies, which were no worse than mine but for exactly that reason created unbearable confusion in my head. ‘Baba, stop it… That’s not important anymore, it’s the past,’ I said repeatedly; and then I would cover her in loud headlines from her favourite newspapers: woman is the pillar of the family, woman factory owner kills her child so her lover will marry her, directions for large and small needlepoint projects, freshen up your surroundings; and in this way, not stopping until I was dead certain that Jaglika had forgotten what she’d been recalling; and until she stopped grumbling: ‘OK, OK, but I’ve got a good one for you.’ Normally this took half an hour, sometimes less, and then Jaglika’s face would light up; then I would wander around the room looking for her glasses – she never knew where she’d left them just a moment before, but they were always either on the window sill or under her pillow. 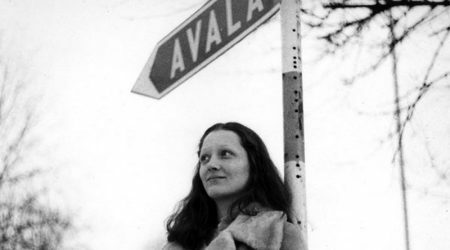 BILJANA JOVANOVIĆ (1953-1996) was a Serbian intellectual who wrote in almost all major genres; she published poetry, three novels, four plays, and a number of nonfiction pieces, mostly connected to her time in the anti-Milošević opposition of the 1990s. After studying philosophy at the University of Belgrade, Jovanović was an early and active member of a number of important human rights groups in Yugoslavia, beginning in 1982. She was also an organiser and participant in a number of major anti-war campaigns and demonstrations in 1991 and 1992, and she helped found a “flying” (underground) workshop/university in 1992. Jovanović died in Ljubljana at the frighteningly young age of 43. Widely known among intellectuals and activists for her feminist and anti-war work, she was also a talented and courageous writer of fiction and drama. JOHN K. COX is a professor of East European History at North Dakota State University in Fargo. He earned his PhD from Indiana University-Bloomington in 1995 and specializes in modern Balkan and Central European intellectual history. His translations include works by Danilo Kiš, Miklós Radnóti, Muharem Bazdulj, Ivan Cankar, Radomir Konstantinović, Stefan Heym, Goran Petrović, Ismail Kadare, Ajla Terzić, and Vesna Perić. 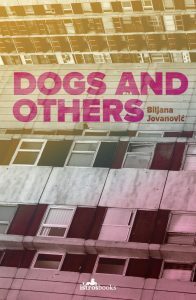 He is currently translating other works by Biljana Jovanović as well as novels by Dragana Kršenković Brković and Erzsébet Galgóczi.